It's been kind of quiet on Discover Share Inspire for the past few weeks. Well, it's because we've been kind of busy... finalizing on the purchase of 2 acres in San Jose Chacaya, a small indigenous town in the highlands of Guatemala, located above Lake Atitlan. Surprised? The nomadic family has bought land?? Are they planting roots? I've simply got to say, I'm kind of surprised myself. But that's how our life goes. We set out for Costa Rica in 2007, intent on making it our permanent home, only to return back to the States in 2008. We moved to the Dominican Republic in 2009, certain we'd plant roots there. But then we moved to Georgia later that year, determined that we would live there at least 2-3 years. Six months later, Greg was offered the 'perfect' job and we moved to India... this time confident we would be there for 5-10 years as managing director of the non-profit organization. However, just a short five months later (May 2010), we returned to the U.S. once more, expecting the unexpected, child number five. Deciding to give birth in Alaska, we made the drive from Atlanta, intent on leaving the 'Last Frontier' after the birth, but before the winter came. Then we were in a car accident, and stayed through the cold, dark Alaskan winter until the following spring, as our 3 year old Aaliyah spent 3 months in a body cast. We've learned that life is what happens when you're making other plans. We finally left Alaska in April 2011 with Argentina as our ultimate destination. We never, ever imagined that we would still be in Guatemala, let alone end up buying land here. That was never on the radar. True, several months ago we seriously considered the option... then decided against it. We'd even reasoned that if we could pick anywhere in the world to set up 'home base', it wouldn't have been here. Why are we doing it? ...and are we giving up travel for good? One of the attractive things about travel is the opportunity it provides for new experiences. Life can become hum-drum, doing the same thing day after day. Travel offers variety. 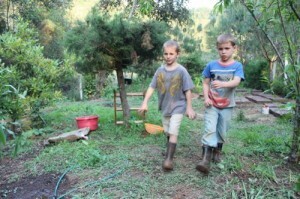 We're attracted to homesteading here and now because it is an entirely new experience for us as a family. We've done little gardening, or raising animals, or building things. Our kids have never done it before (they've been nomadic since our oldest, Kyah -- right -- was 4 years old.) It's all very exciting... and fun. 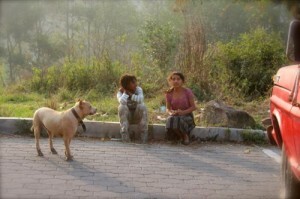 I compare it to being on the road, living in our truck for nine months as we drove from the States to Guatemala. When we finally rented a house with an oven and could bake stuff... WOW! What a great adventure. This past year, as we worked on our Perpetual Self-Reliance Project, the desire to have our own little farm really grew... it was an experience we really wanted. Even the 'simple' things like planting seeds can be an incredible adventure -- especially when they're new and different from what you've previously been doing. With the economic uncertainty of the times, the collapse of national economies, and the devaluing of currencies, it only seemed wise, we told ourselves, to hedge against possible... 'calamities'. We're no dooms-dayers, but as my husband likes to say, "The U.S. government is only straightening deck chairs on the Titanic." Our income is based on the U.S. dollar. It's only smart to prepare against the possibility of it's devaluation. Not only will the Homestead provide great experiences, but it will also grow food and potentially create an additional income stream. Once it's established, we can continue to travel, but always have this 'insurance policy' to fall back on if things get tough. Many people have two dueling natures -- the yearning to travel and explore, and the hankering to dig in roots, built a comfy home with a library, grow a garden and raise a few animals. Even since we started traveling, we've always wanted a 'home base' -- someplace to keep our books, and grow some plants. We've never done it because it seemed to be an anchor -- thirty years of debt, insurance payments, taxes, PLUS you have to stay there to take care of it. Exploring the option in Guatemala, we finally saw how to have our cake and eat it to. Here, we can buy land outright, and with small yearly taxes and no required insurance. PLUS we can hire a full time/live-on gardener/guard to take care of the place when we want to take off and explore. We can have the best of both worlds. Education is very important to us, and as our children our getting older their education has come more into focus -- especially during the last year we've spent in Guatemala. We want to take some more time to solidify a sound educational plan -- one that will develop character and inspire excellence in our children. Travel is definitely a part of that plan, but so is time for reading, projects and hard-work. Having a homestead provides real-life opportunities to learn important skills and to work -- because you have to or else. More importantly, Greg and I need to focus on taking our self-education to the next level, in order to lead the way for our children to follow. I plan to blog a lot more about education and the approach we're taking. As a traveler, you're pretty dependent on the world to supply your needs -- food, accommodations, and everything else. That can be a great experience. But children also need to learn how to be self-reliant -- to learn skills that will allow them to provide for themselves... skills that are being lost in our modern day buy-everything-at-Walmart world. People are losing the connection to where food comes from and how to grow it; how to raise animals; compost; collect and store water; and how to sew, build and create things from scratch -- among other things. We want to learn these skills for ourselves, and teach them to our kids. The only way to learn is by doing. Travel is an excellent way to learn about the world -- to expand your current reality, to embrace new ideas and customs, and to see the variety this globe has to offer. But nomadic living doesn't provide a lot of opportunity to connect to the land, to watch things grow and to experience the duality of constancy and change that nature provides. It's hard to plant a seed and watch it grow when you're taking off to some place new next week. Certain lessons can only be learned by staying in one place for awhile. Our ideal is to provide a little of both nomad-ism and root-planting for our kids. Right now, we're going to spend some time planting those roots... for a little while. Travel can be very touch-and-go. You can visit a place, dip your toes in the water so to speak, and then move on. But to really get to know and understand a place, you have to live there, become a part of it, and see it day in, day out, week after week, month after month. Connecting with the people, the customs and the culture happens by living, not just traveling. 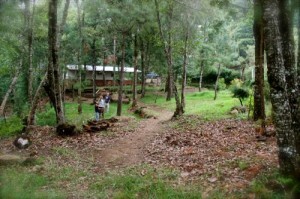 Our home base is located in a small indigenous village, with no other expats. This will provide a very unique opportunity for our children, who already have a good Spanish base and are now picking up some Kaqchikel -- one of Guatemala's 21 indigenous languages. 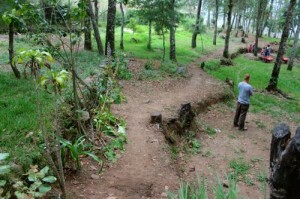 Creating our own Homestead is only half the reason for buying land here in Guatemala. Another major motivating factor was our desire to take the success of our Perpetual Self-Reliance Project to the next level. 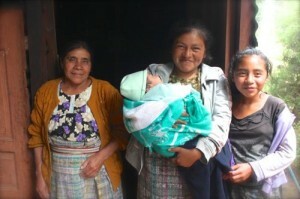 Guatemala has the fourth highest malnutrition rate in the world, and the highest in Latin America. This is largely due to the fact that corn is the staple of their diet. We want to be able to help a community to improve their nutrition by introducing principles of permaculture and square foot gardening (among other things), so that families can be self-reliant and have better nutrition. Is this the end of our Alaska to Argentina trip? Right now I'll honestly say... no. We plan on continuing our adventure. There is no set time frame in which we have to complete our trip. And if it includes setting up a home base in Guatemala, then that's okay with us. Once we finally head south again, we could make it to Argentina in as little as six months to a year. Surprised? Have you ever wanted a home base? 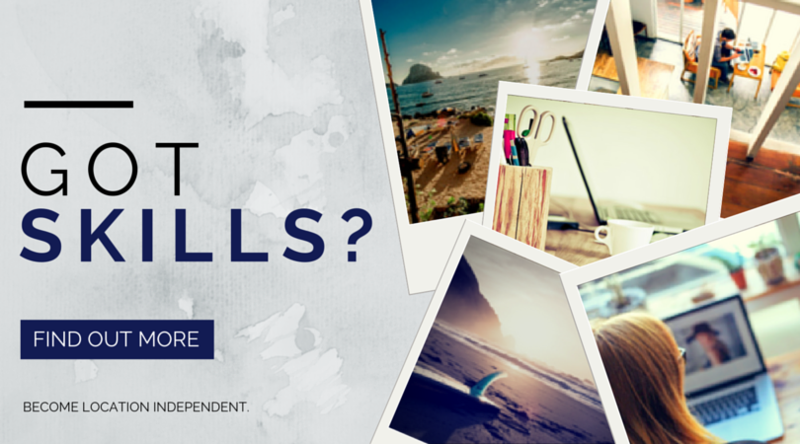 Do you have one, and now want to travel? YAY! It really is all about making conscious choices and living deliberately, not the travel. It took me many years to figure that out, but now that I finally did, I can say that I wake up thrilled every day with the choices I’m making. Will you continue your travels? Who knows? But really – that doesn’t matter. What matters is that you wake up every morning knowing that what you will do with the next 24 hours is what you choose. I want out of the rat race! Can you help my family figure out how to get to Guatamala. We want a small piece of land. Just go for it! Take a trip down to check it out… or just move there! 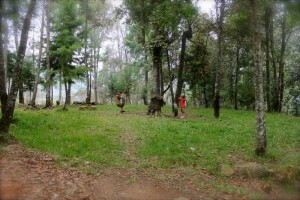 Panajachel is a great place for families with kids. Great to see your return to the blogging world! I am excited to learn along with you as you discuss both your education and homesteading plans and experiences. Both passions of mine. After 2 school years in Haiti, we will be taking the rest of this year, building a cabin back in the States as a home base. Last summer we went back during the summer break, and were constantly between different family and friends’ houses. We look forward to having a home base to return to during our teaching breaks. Keep us updated. And God Bless. Rachel!! This is SO exciting! I had a feeling that something big was brewing since it was so quiet around the blog for a little while! It is wild how life doesn’t always happen the way we plan, but leads us to something even better than we could have imagined 🙂 Looking forward to hearing about this new chapter for you and your family!! I’d be very interested in a post on costs (both initial setup – purchasing the land, necessary stuff for gardening, chickens, whatever, as well as ongoing, expected expenses while living there, and while traveling – I.e. how much is the taxes and full time caretaker you mentioned). @arebelspy About taxes, you have to pay yearly 0.6 or 0.9% of the value of the land (higher rate if over $10K property value) but we are talking about the registered value of the land that is usually much lower than the actual price you paid for it, making the tax cheaper. A full time handyman or maid costs around $200 per month, you can chose to have them stay overnight in which case you generally provide basic food as well, or have them work from Monday to Saturday morning and go home every night. RFIndependence Yes, you’re right. There are taxes, but they are very low. We pay $195 for our full time gardener/guard. He lives here on the property, so on top of his pay he also receives housing. MelanieMurrish 🙂 Something we didn’t anticipate either, but serendipitous all the same. Way to go on reducing your debt, and in searching for your passion!! That is fantastic. Keep moving forward, and your dreams will happen! Congrats, I am happy for you and your family. So glad to hear from you all! I was wondering if you might be reconsidering buying some land in Guatemala. 🙂 I can totally understand the dual desires – to travel, and to homestead. I can’t wait to hear more about your land – like does it already have a house or do you plan to build? Is it near the other homeschooling families you’ve become close with? etc. 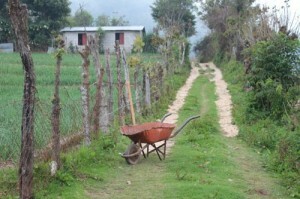 I love the reasons you give for buying land in Guatemala. Sometimes life changes and there’s simply no reason for it. I have been moving around a lot, mostly on a whim, determined that the next place I land I will set down “roots” and live for many years. It hasn’t happened yet. In fact, that mentality almost makes me want to move on quicker! I do, however, look forward to a day when I find a piece of land or home to call my own like you have in Guatemala. Congratulations! Rachel, congrats! I was so impressed with the character of your children, you and Greg when Christian, Kaytie and I got to know you when we visited Panajachel. I’m looking forward to reading more about your homesteading and new plans for travel. In for details! BrettEvans Thank you Brett! It was nice meeting you and Christian and Kaytie. We enjoyed having you visit. Come back anytime! What a wonderful new journey you have taken! Looking forward to reading more about this next step. mamagringa Thanks!! I’m excited to write about it. I understand perfectly. 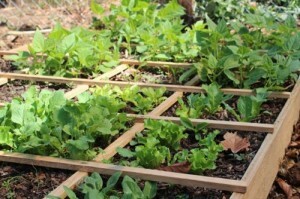 We have added more raised beds to our garden that we began last year. We have also acquired baby chicks and my husband built a chicken tractor. 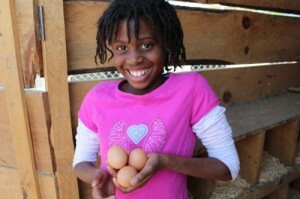 More chicken coming next week… these already full grown laying eggs hens. 🙂 We are also considering goats for next year… My husband still has plans to move down to the Amazon, but meanwhile our home is turning into a homestead. Who knows what is happening next?? God does!! I am glad you are keeping us posted. I am sharing your blog with a friend that is thinking of buying land and moving to Central America. TobieSpears Yes, sounds like a beautiful plan. There’s something special about both sides of the coin. Rachel and Greg I am so happy for you to have made this decision. It must be a relief to put all your energy into this new project. Life can be pretty tempting sometimes with so many opportunities. I am sure you will make a wonderful base for your family there and keep being the people you are: self-exploring, positive, innovative and definitely Unconventional! Reading your post reminded me of a great TED-talk I saw yesterday: Jamie Olivers Food Revolution (http://www.youtube.com/watch?v=37J_6WIaqgI), you can start one locally..
GwenHulsegge Thank you very much! I look forward to watching this. Hey Guys, It’s funny because Barbe and I are talking about doing the same thing here in Honduras. our income too is based on the American dollar and if you;ve been keeping up with what’s going on in the gold market…well history does repeat itself. Inflation may very well become our worst nightmare sooner than we would like. If that;s the case, then why not be in a country where it is possible to grow food year round and where people still live very simply, almost as though there is no world economy to be considered. Very happy for you guys! So glad to see you have fallen in love with Guatemala! It gets in your veins, doesn’t it! I miss it so much! Was thinking about Guatemala and God today. I asked myself and God. Why does he pick Guatemala for so many of his people? He picked it for me, and it seems like it ranks high on a list of places where he displaces his people to. I wonder right now if it´s to bless Guatemalans or the strangers who come here to make it home. Probably both. It´s neat to hear about a family that is free travel even with small kids. I´m a single Christian guy and I always thought of how great it would be to have a wife and family that was willing to travel. I´m also put off by the idea of putting down roots and being indebted for 30 years. A lot of people intimate that it´s not even possible, yet you and your family are living proof! I´m very interested in your project as far as reaching out to help others in growing food and that sort of thing. I hope to one day bring something like that to fruition here as well. As this topic has interested me for some time, I´ve met various people involved in similar projects. Mainly I hope to focus on Alta Verapaz, but I was wondering if there could be some kind of organization of organizations to convene all of the peopl who are working in the area of improving nutrition for self reliance and education. If you think that´s a good idea let me know! Alot of people are studying nutrition here in guatemala in the hopes of fighting poverty, but there are some disconects with the people of the city and the people in rural communities. One person I know who is working to encourage locals to grow native produce again is aware of this too. Actually that friend of mine has a seed distribution project going on. Maybe you could be benefited by growing original native varieties of vegetables from seeds that he could provide? my mom passed away and one of the last things she said was “i have a land in guatemala” since she was weak i did not ask questions but how can i clam that land????? MichelleVazquez You could start by figuring out what area of Guatemala. For instance, do you still have any relatives there? Did your Mom have brothers or sisters who might know about it? Cousins? You could go ask them. If you know the town where she lived, maybe you could find neighbors that remember her. I don’t know about the legal side of it, but that would be a start. I am interested to hear how everything is turning out for you. In 2016 I may be in the same situation as you. I have been living in Guatemala for a few months, and have a few more to go. I will return to the US to see family and friends and come back next winter if all goes according to plan. How difficult was the purchasing of property, and how expensive has it been thus far with building fee’s, lawyers, materials, etc? @Freddie It was a fairly simple process, although we did buy the land from an American. But the paperwork was easy… just sat down with both parties and a lawyer and signed. Didn’t cost too much for the lawyer either. My husband will have more details. how did you find the land that you ended up purchasing? then did you hire a builder? or are you and your husband just incredibly handy? We were in the area long enough that we looked at quite a few properties. It’s just a matter of asking around… locals, expats, etc. There was already a structure on the property, we just had to do some refurbishing — bathrooms, kitchen, etc. My husband is pretty handy, but we did hire out the tile work and other things to locals. @MichelleVasquez I am from Guatemala and there is an office called “Registro de la Propiedad” where all land is registered. With your mom’s full name/documents you may be able to hire a lawyer to find out at the Registro de la Propiedad where the land is and how you may be able to claim it. Hope this helps. Blessings. I am from both countries, us / Guatemala. For me buying land is very easy. Just make sure you use a good lawyer and your there for every signing of every document. And after everything is done check with the Government records showing you are the legal owner. I have never had any problems. Very simple and easy process. Make sure you register with the US embassy.